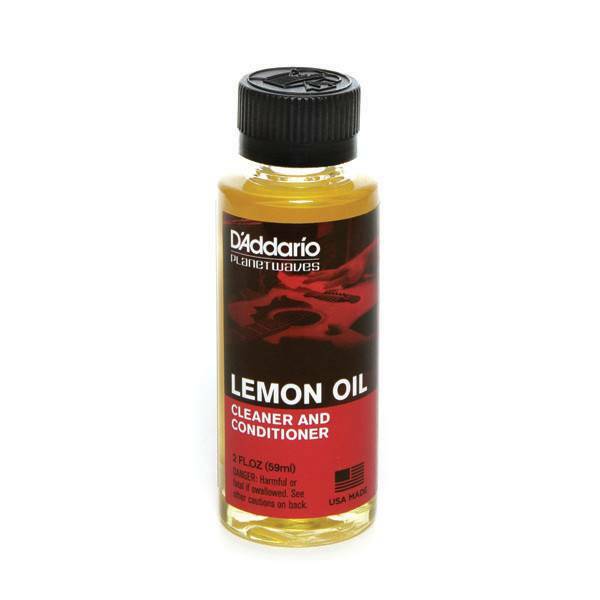 Lemon Oil by D'Addario is a natural cleaner and conditioner formulated to remove dirt, grease and build-up from unfinished woods on all string instruments. Lemon Oil by D'Addario is a natural cleaner and conditioner formulated to remove dirt, grease and build-up from unfinished woods on all string instruments. It's particularly recommended for use on fretboards and unfinished woods. Lemon Oil also helps to condition your instrument to resist dryness which can prevent cracks and extend its life.